Ciera Paul makes learning fun with her innovative approach to teaching geometry. 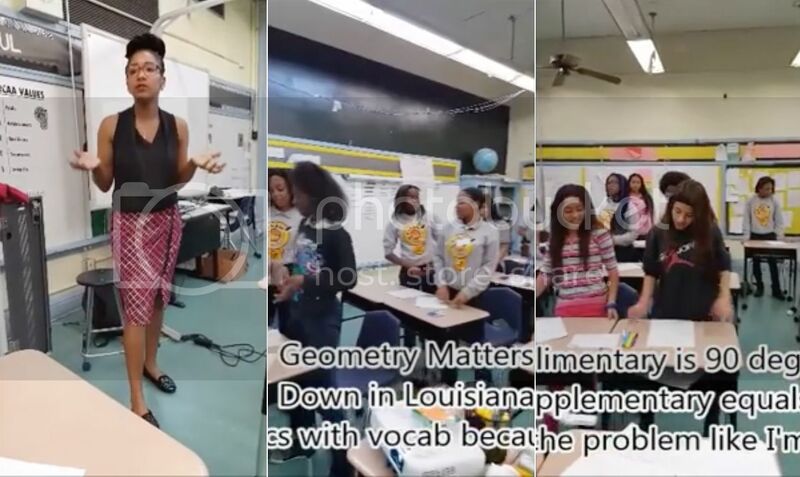 Paul, who teaches at a Charter school in New Orleans, helped teach her kids about circumferences, radii, and angles with a rap to the tune of Beyoncé's "Formation." You can tell in the clip that every student is engaged. There's even a verse for the Spanish speaking students. It's great to see an educator so in tune with what her kids respond to. This is exactly what our kids need! Great job, Ciera! Watch how teacher Ciera Paul remixed the lyrics to Beyoncé's Formation to help remind her students of circumference and diameter formulas.